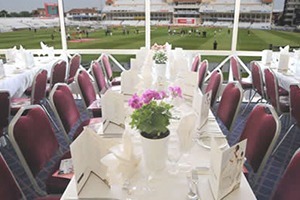 Eventmasters are thrilled to provide official Trent Bridge hospitality packages for 2019. Enjoy a great cricketing experience as England clash with Pakistan in Match 6 of the Cricket World Cup. With favourites Joe Root and Adil Rashid and Moeen Ali set to play a key-role for the Three Lions, Trent Bridge is set for another tremendous showcase of world cricket action. Secure your VIP hospitality package now.